OK, it's not a sign that film is making a roaring comeback but news that UK high street chemist, Boots, is increasing the range of Ilford black and white film it stocks can only be welcomed. And it's not just 35mm either as you'll find some rolls of 120 on the shelves this summer as well. Ilford revealed yesterday that Boots have recognised there's a gap in the market for film and an opportunity to support the increasing number of their customers who are asking for black and white film. 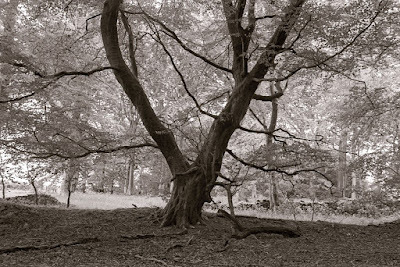 Recent features by the Financial Times and GQ magazine and on the BBC Magazine website have backed up the ILFORD PHOTO 2014 Film Survey that confirmed support for traditional black and white film photography is growing. Ilford said Boots have always considered photography to be an important part of the business, from the early days of the small corner shop chemist offering film sales and processing, to the modern large-scale in-house digital photographic labs today. At present, Boots stocks 35mm HP5 Plus and XP2 Super, both 36-exposure, but from this month will be adding FP4 Plus in 36-exposure rolls and HP5 Plus in 120. They'll also be selling the HP5 Plus single use camera. Boots buying manager, Amie Klapsia, said, “We have seen increasing demand for black and white film and the range we have will help photographers of all abilities take stunning photos. Helping customers create something wonderful with their photos is important to us, whether it be with a frame, photobook or other personalised accessory. All four film items will be available in a “Buy two get the cheapest half price” offer that ends 21 July 2015. These items will also be available on-line from www.boots.com where, if ordered by 6pm, they can be collected from a choice of 2300 stores next day, excluding Northern Ireland, Scottish Highlands and Islands, Channel Islands, Isle of Man and airport stores. Nothing like that in the US although we have plenty of drugstore chains. I just plan ahead and order online from B&H or Freestyle, film, paper, and chemicals. You have to stockpile a bit but I've got room in the fridge. have you seen the prices in stores though - last time I looked a roll was £6+. I suppose with that offer it would take it down to about £4.50/roll . . . Keener pricing all round on film is needed I think. I actually think this is really significant. And 120 at Boots?! I wonder when the last time they stocked that. Yes, the prices are high, but I doubt they expect the dedicated film photographer to use them as their sole supplier. I guess it's aimed more at the causal user or someone who has run out and needs film in a hurry - you're never that far from a Boots. If I desperately needed a roll or two in a hurry, I'd pay over the odds. I have to say, as much as I've become more positive about the future of film in the last year or two, I never thought I'd see the day that Boots expanded their range. Fair play to them. I've been to England and ran out of film. Order by six pm and pick up the next day; great marketing. That's good news for sure, its just a pity that their film developing and printing is so poor. I'm not even sure they do B&W processing (I send mine to Ilford who do a very good job) and I've decided to give up on my local Boots lab for colour after too many quality issues (they even cut through the middle of a negative once). Good to see that a major retailer is filling up the gaps in the market. Sadly this is not so all over: recently I went to a shop called The World Of Photography here in Germany. They told me that film is a thing of the past, which is why they don't sell it. 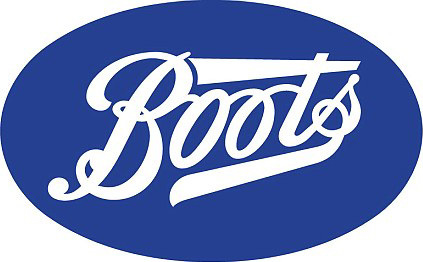 There are two big chemist shop chains in the UK - Boots and Superdrug. About 2 or 3 years ago I went into a large Superdrug in a major city and asked if they had any film. I was after 35mm colour film, so nothing too exotic. The assistant looked puzzled and asked me what I meant by film. I said "film...for a camera?" Suddenly realisation dawned - and she started laughing. She called her supervisor over and explained that I was looking for film for 'them old cameras'... the supervisor also joined in the hilarity told me she had worked for super drug for years and she doesn't remember them ever selling film. They were still giggling when I walked out. I found the local Boots and they has HP5, XP2, a Chromogenic BW Kodak film and 400 ISO colour films from both Fuji and Kodak - all in 35mm. Good on Boots I say, I will buy at least a couple of 120 roll films from them, whatever the price, just to show some support. Well, it could turn into another chance: I may even start developing my own colour film now. The latest changes in price policy of film developers had me driven into achieving a bw darkroom which suddenly sports a Leitz Focotar 1c! And I am having a jolly good time discovering these thoroughly enthusiastic blogs and forums about Photography. Like this one! You need to put that Focomat to good use, Nick. It's a fantastic piece of kit!